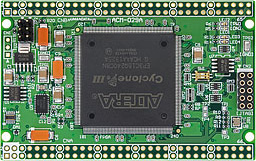 ACM-029Y is Altera's Hi-performance FPGA Cyclone III board. 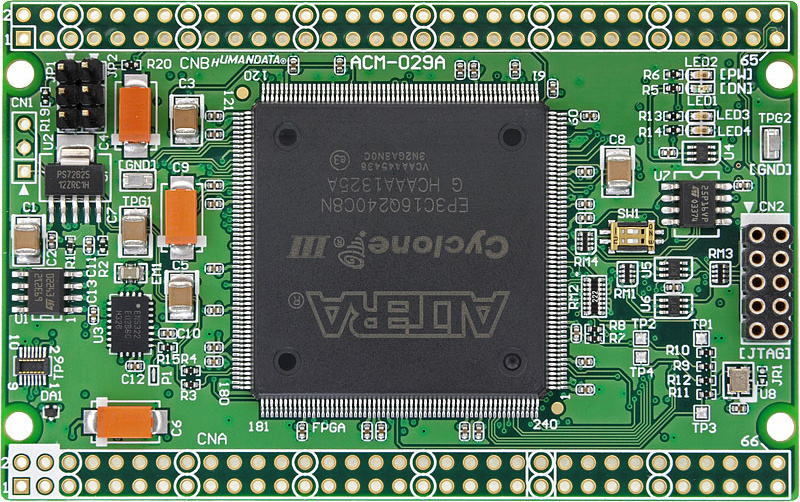 It's compact and very simple. 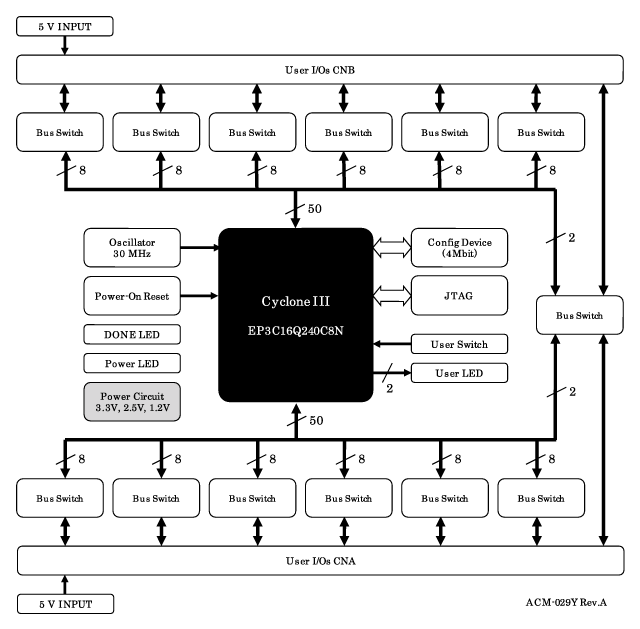 5 V single power supply operation. 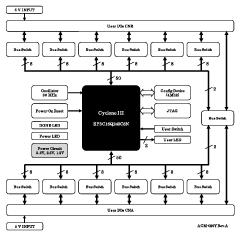 Equipped Bus switch ICs offer you useful 5 V user I/O interfaces. 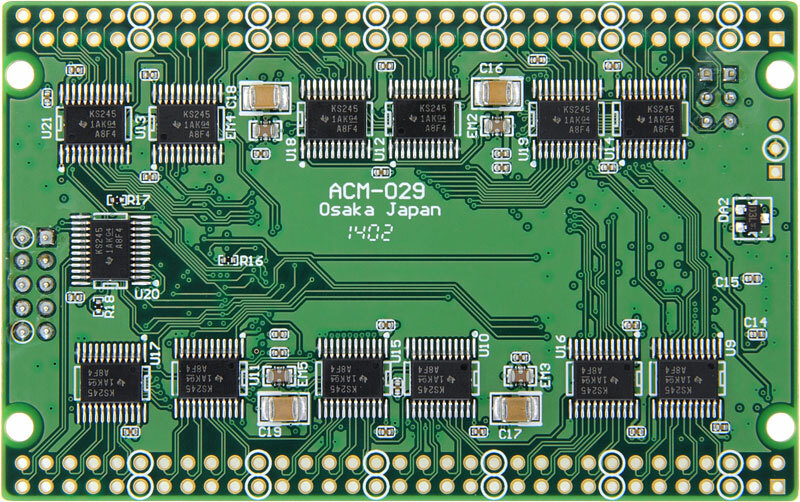 ACM-029 has 5 V I/O level converters which can help to control output 5 V full-swing.